These fishhook style drop earrings feature reverse silver teardrops with opaque faceted periwinkle blue acrylic stones in the center of each teardrop and hung from the bottom of the earring. 1 pair of earrings per package. These fishhook style drop earrings feature reverse silver teardrops with opaque faceted light aqua acrylic stones in the center of each teardrop and hung from the bottom of the earring. 1 pair of earrings per package. These fishhook style drop earrings feature reverse silver teardrops with opaque faceted coral pink acrylic stones in the center of each teardrop and hung from the bottom of the earring. 1 pair of earrings per package. Black Semi-precious Stone Fish Hook Tear drop Dangle Earring Set. 3/4" x 2 7/8". Drop Approximately 1.25". Post stud back earrings. 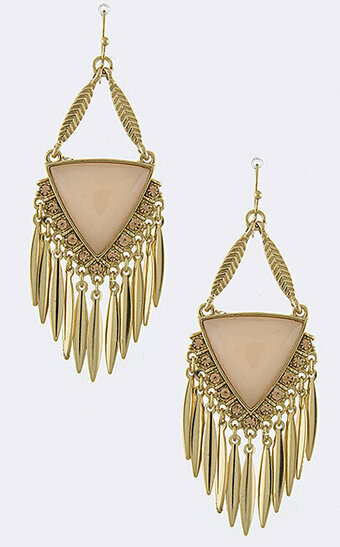 Matte Gold Tone, Black Acrylic Fish Hook Tear drop Dangle Earring Set. 1" X 1 5/8". 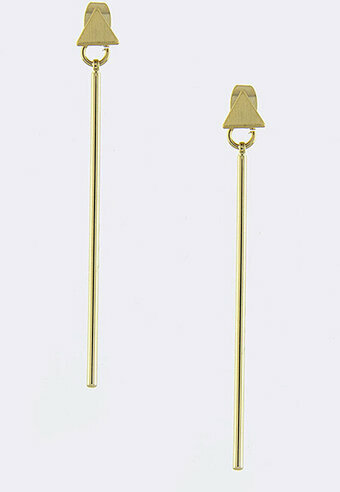 Matte Gold Tone, Gold Acrylic Fish Hook Tear drop Dangle Earring Set. 1" X 1 5/8". 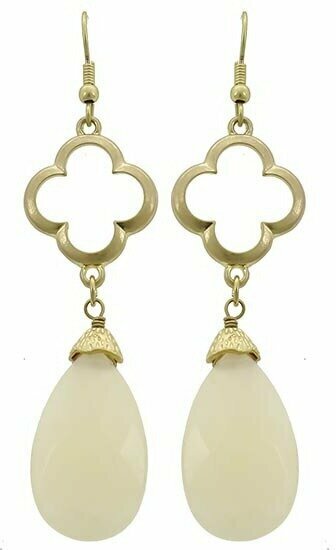 Light Pink Semi-precious Stone Fish Hook Tear drop Dangle Earring Set. 3/4" x 2 7/8". 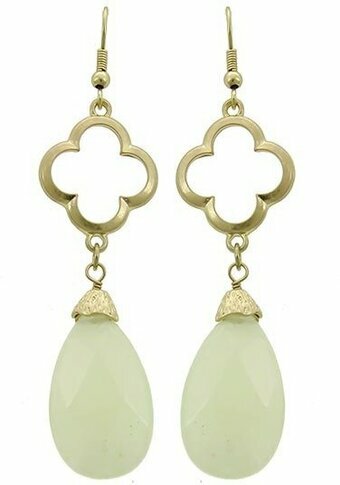 Mint Semi-precious Stone Fish Hook Tear drop Dangle Earring Set. 3/4" x 2 7/8". 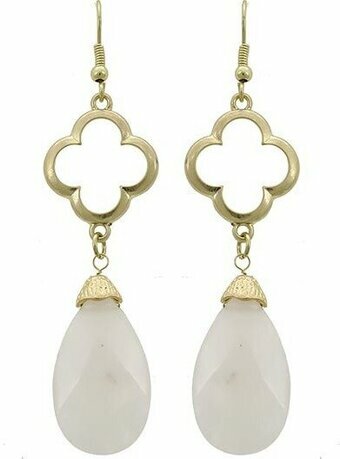 Natural Semi-precious Stone Fish Hook Tear drop Dangle Earring Set. 3/4" x 2 7/8". 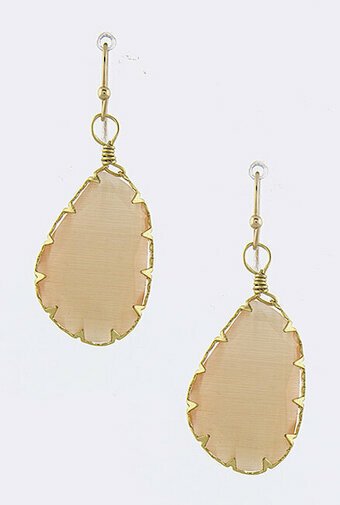 Peach Semi-precious Stone Fish Hook Tear drop Dangle Earring Set. 3/4" x 2 7/8". Silver Tone Blue Glitter Epoxy Fish Hook Starfish Dangle Oval Earring Set. Drop length 1 3/4". Drop approximately 2". Lead/Nickel compliant. Fish hook.